. 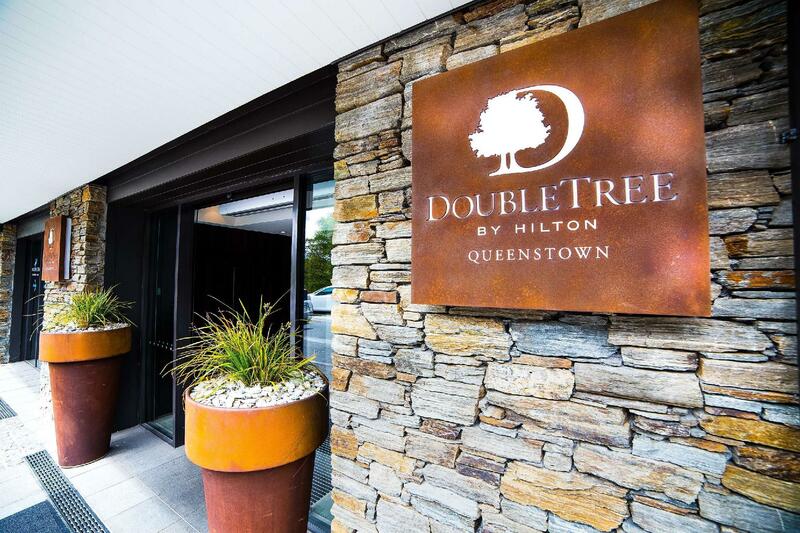 إن الخدمات التي يقدمها DoubleTree by Hilton Hotel Queenstown تضمن للنزلاء إقامة مريحة. يمكن للنزلاء الاستمتاع بالميزات التالية: خدمة الغرف على مدار الساعة, مكتب الاستقبال على مدار الساعة, مرافق مخصصة لذوي الاحتياجات الخاصة, تخزين الأمتعة, واي فاي في المناطق العامة أثناء إقامتهم في هذا المكان الرائع. في الفندق غرف نوم يتجاوز عددها 98، كلها مجهزة بعناية وجمال وبعضها مزود بـ تلفزيون بشاشة مسطحة, سجاد, قهوة فورية مجانية, شاي مجاني, إغلاق. سواء كنت من محبي الرياضة أو كنت تتطلع لتفريغ عناء نهار صعب، ستجد خدمات ذات مستوى عالي بانتظارك كمثل مسار جولف - ضمن 3 كم. 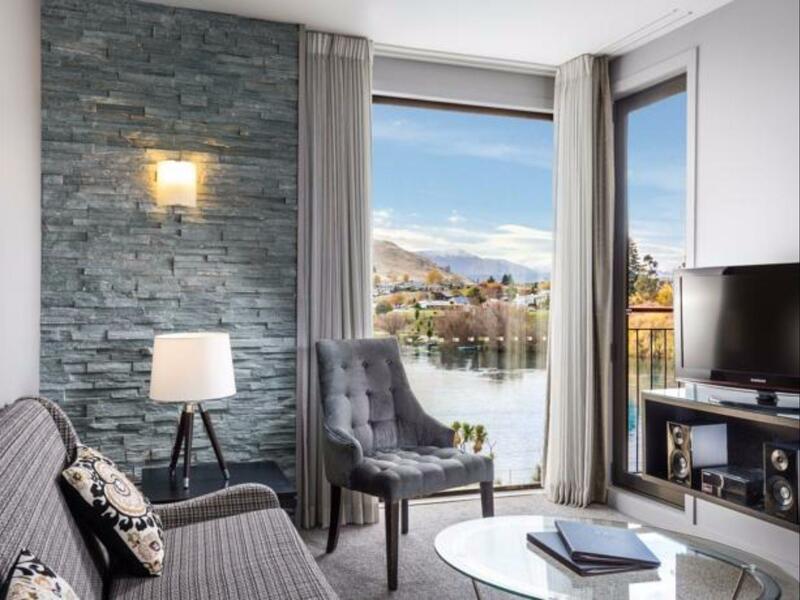 يشكل DoubleTree by Hilton Hotel Queenstown بخدماته الراقية وموقعه الممتاز، قاعدة مثالية للاستمتاع بإقامتك في كوينز تاون. مدفوعات بطاقة الائتمان المتعلقة بفنادق نيوزيلندا تتكبد رسوم خدمة تجارية بنسبة 1.5% بالإضافة إلى إجمالي المبلغ المستحق. وينطبق ذلك على المنتجات ذات الأسعار المختارة. room was good, clean when we arrived. we lived in the hotel for 4 nights, we really liked when the housekeeping staff left a note after cleaning our room, but on day 3, toiletries weren't stocked in our bathroom nor there was any note stating who cleaned the room, towels weren't changed and few other stuff that i don't remember now, otherwise I loved the place. Everything was good except the smell from the bathroom. About 10km away from Queenstown. Well the car park... you had better booking in advance, maybe charged, I am not sure. But they will guarantee the space. The normal car parking space is limited, hard to find the space and the design for this car park is absolutely failed. You will understand after you get there. We can cook in the room. It was really awesome. We can make a dinner with good ingredient from the supermarket like Pak’nsave. Love the accommodation here even I was checked-in at 630pm, unfortunately, there was only 1 front desk staff handle all the checks in during the crowd. The staff was sweet, professional and polite while processed our room check-in. Love the atmosphere here, especially the room was very spacious and cleanliness are there. Spent a night here and found a great night rest. Definitely will recommend to my friends. The parking was disappointing. Lots of empty private parks but no parks available for guest cars staying in the rooms which was surprising considering the location you really needed your own transportation. The room was lovely but will need redecorating in the next year. Nice modern room in a quiet lovely location by the lake. Downside is it's far from the towncentre. Their chocolate chip cookies are so yummy! They give you some upon check in. Pool use at Hilton is kinda expensive. $20/head incl. kids. View was fantastic. However, I was staying at room 2114 and when i looked behind the corner light table, there was used tissues and what seemed like a seed from a fruit. I found this quite disgusting as the cleaners didn't take notice and don't clean the room thoroughly. 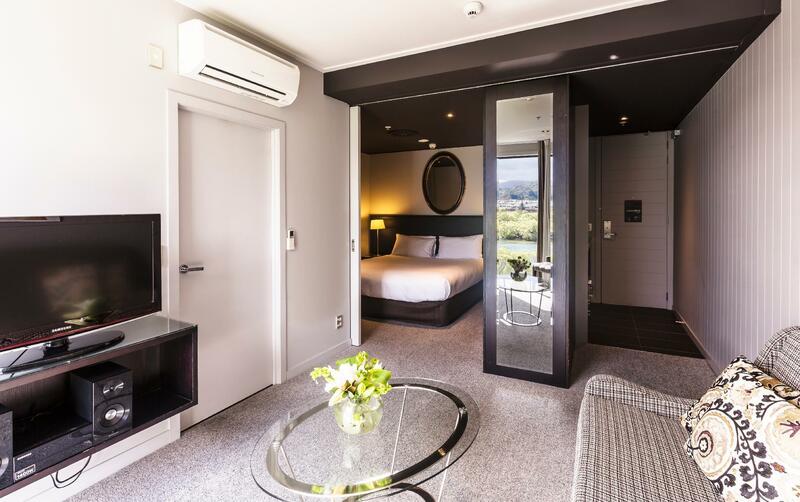 My traveling partner has been raving about the comfort of this hotel ever since we got back; especially with it being the last hotel to end our beautiful trip in Queenstown. The bed had her cuddled up in deep sleep after our long trip in and about the South Island. "I just went to Maori Haven" were her exact words. 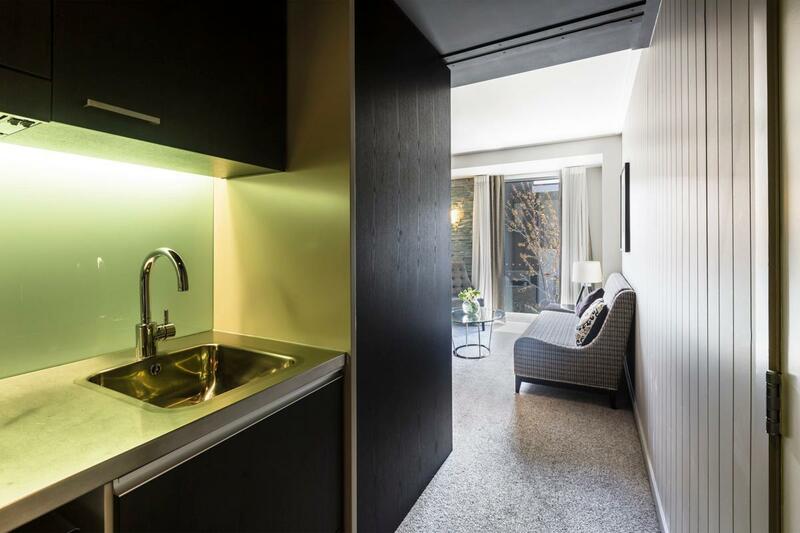 Another worthy mention is how the hotel room is equipped with a humble kitchenette, that comes with all the pots and pans, cutlery needed to whip up a meal, which we didn't, but definitely good to have for travelers looking for a longer stay in this hotel. Shuttle bus services between the hotel and Queenstown are available. 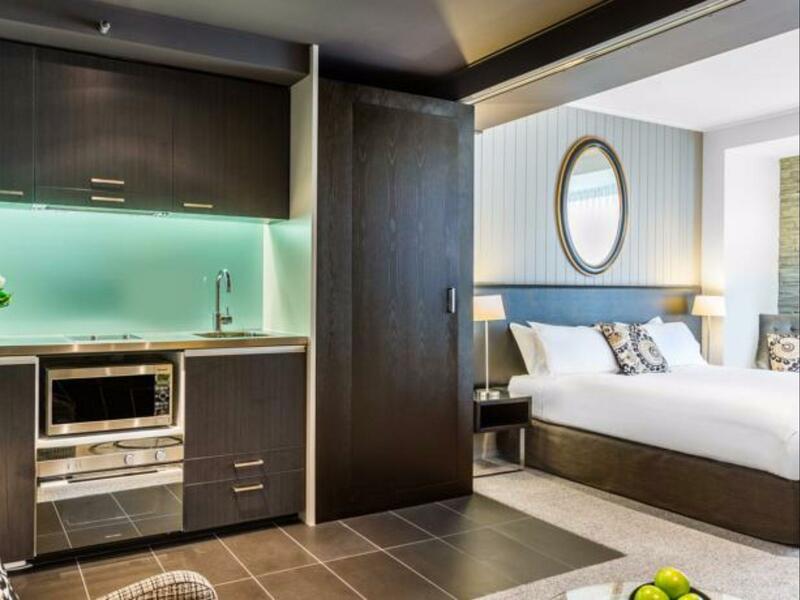 This will be our go-to hotel for our next visit. We booked Double Tree but were delighted when they told us that we had been upgraded to the Hilton part of the chain. A very nice room and we had complimentary chocolates on both nights that we were there. Staff were great especially the lovely ladies Sadia and Paveena. so glad we stayed here, service and rooms are exceptional. ample parking, everything a traveler needs are just within 50m radius. Deli, restaurants/bar, salon, car rentals, bike hire and specially qbook. Qbook is located in the reception and they can help to organised all your activities during the stay. they are great. Very Clean and Bed is Super Comfy. Very Nice facility and Beautiful views from balcony. Note I booked the room with lake views. However the locations is a fair bit away from Town. apart from that could not rave enough about the perfect bed.!!!! 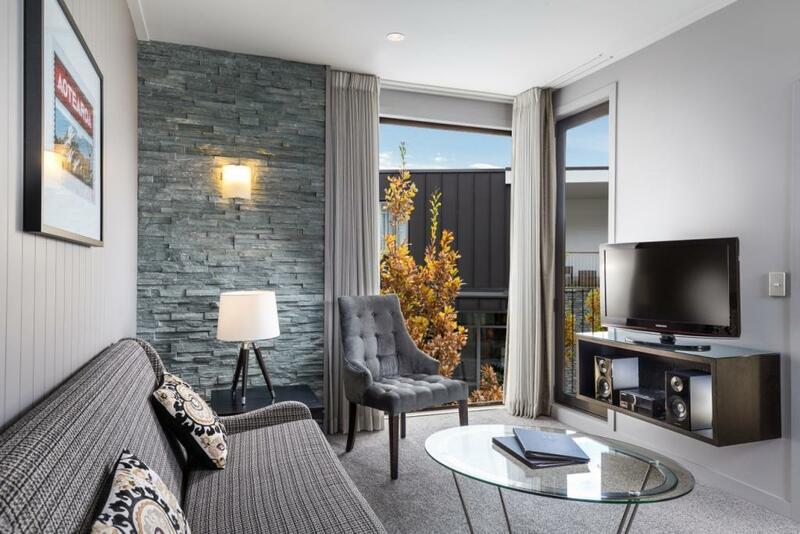 Despite that it requires few minutes drive from the resort to the city centre of Queenstown, I have nothing to complaint about the room, it's really a nice one. The view is amazing and the resort is beautiful. We had the buffet breakfast at Hilton and personally I think it's average only. We stay in this hotel for 3 days.. Overall we satisfied to stay in this hotel.. They have beautiful deck with little duck.. Good heater.. We already miss their welcoming cookies.. :) double tree.. You have the best cookies that i ever eat..
A fabulous stay. Staffs were lovely and helpful Very clean room and comfortable. Love the overhead heater in the bath. 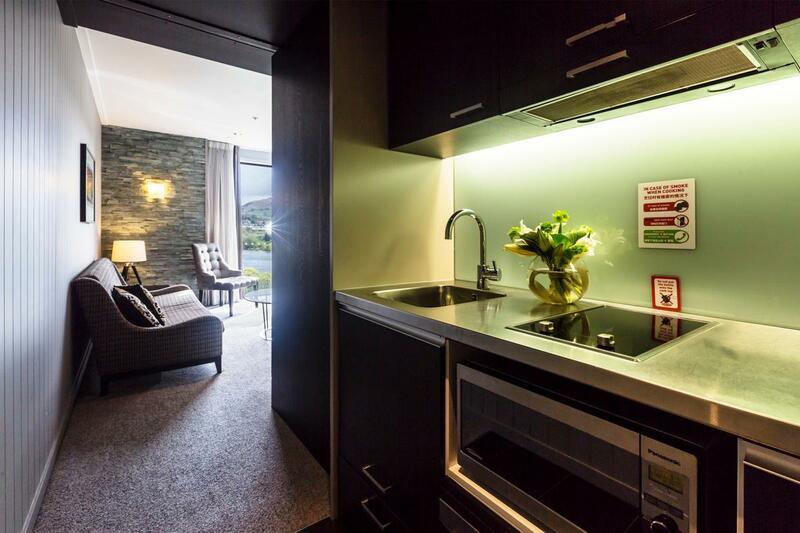 Quiet environement, will definitely return to the same accommodation in my next holiday in Queenstown. For travelers who do not own a car, this is not the best choice as it is quite a distance to town centre. I have no complaints about the hotel whatsoever it's just the location. A taxi into town can cost $50, a boat is $20, I know there is a hotel shuttle (seats about 8-10), but it doesn't operate frequently enough to make it convenient and it's often full. I wasn't planning on paying an extra $150 during my time in Queenstown getting to and from my accomodation. It does have lovely views and is close to the airport. It was so good that I went back a few days later. In short, it is luxurious, it has a beautiful view, but it is a bit off the main path, which may be exactly what you are looking for... I strongly recommend it. I want to go back and stay at the hotel again. It was short, but so comfortable and beautiful, that I cycled back a few days later and chose to stay at the same hotel again. It does not feel like a hotel, though. It is more of a residential complex with a hotel inside. You will barely overlap with staff if you choose so. The location is a bit of an issue. You are out of town and out of the main path. There is a boat service, but the schedule is restricted. Ideally, you should have or rent a car to move around. I did not try the food in the restaurants in the complex, but the view was beautiful. Traveller prefer quiet beatiful scenery alway from central cowdy central of Queenstown.